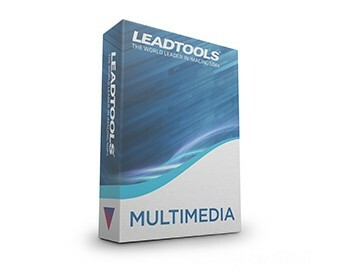 LEADTOOLS Multimedia is the base product and starting point for developers creating powerful multimedia applications based on DirectShow and Media Foundation with the LEADTOOLS Multimedia Family. Beyond the core functionality, LEADTOOLS includes a massive collection of advanced features that can be added through value-oriented add-on modules or á la carte. See the Multimedia Product Comparison Chart to see which features, filters, and codecs are included or may require additional licensing. What’s Included in the LEADTOOLS Multimedia SDK? * Available via add-on module or á la carte. See the Multimedia Product Comparison Chart for detailed information. ** WMV playback only. Streaming WMV over Windows Media Server requires an add-on. Add-on modules and plug-ins may be added to LEADTOOLS Multimedia to add even more imaging technology.